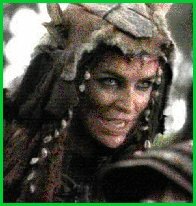 Alti...aka Claire Stansfield. Hmmmm, what can I say about this wonderful actress? 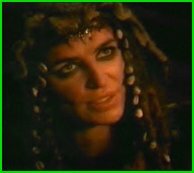 She brings back to the show something we have all been missing with the demise of the evil Callisto....someone we love to hate. Yes, I for one have certainly missed seeing Callisto taunting Xena mercilessly. Hudson Leick is definitely a talented actress, and played the part perfectly, but they made her an angel, and we were left "villain-less"!! 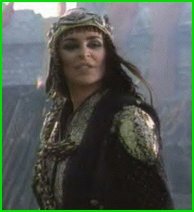 But now, in steps Alti...evil to the core, unrelenting in her lust for revenge and power. You gotta love it! And the voice? Wow, gives me the shivers hehe. I wasn't a big Alti fan before, but I recently went to the Chicago Convention and got to see and meet Claire herself. She won me over immediately, and now I am a "born-again Altian"! Hehe! I personally can't wait to see more of Alti this season or next. Encased in amber? Baaaaah! We all know that won't hold her for long! She's one smart shamaness. 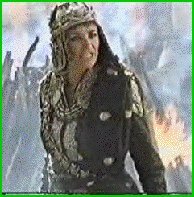 "Xena's on her way. You fool, don't you think I know that already?" Alti + Weapons? Ooooo...a deadly combination! "I can make you the Destroyer of Nations..."
"I see you've found your little friend...Gabrielle was it?" 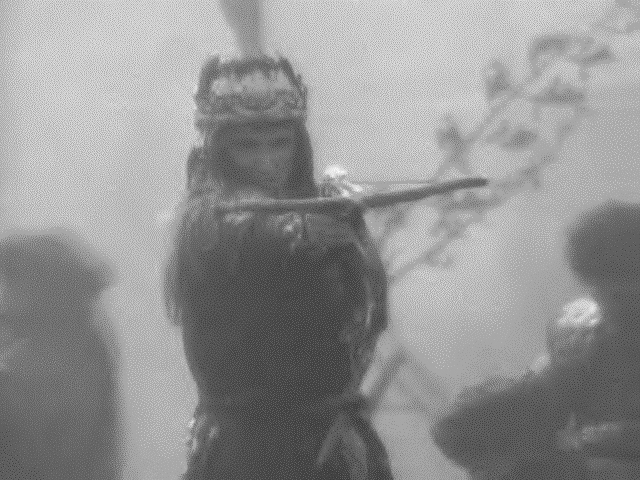 "What's the matter Xena? Having a problem fighting me in my spiritual state?" "Don't worry...I'm evil. Formed from the spirit of the earth..."
Like the music? Cool huh. I pride myself on picking great music to fit my pages...if you are interested in having the midi files I use on my site, click the button below!